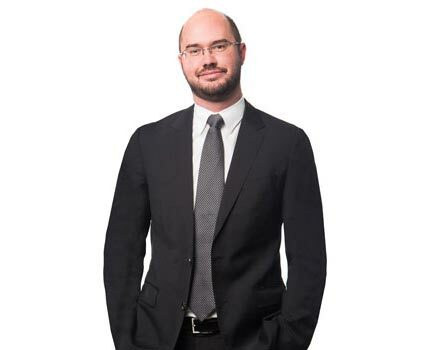 Ryan Quinlan is a lawyer practising in insolvency & restructuring, debt & foreclosures and commercial litigation. He has been retained to act for debtors, creditors, trustees, receivers and monitors in insolvencies throughout Alberta. Ryan has substantial experience in debt recovery actions, security enforcement and foreclosures. He also acts as counsel on complex corporate and commercial litigation matters, including fraud actions, shareholder disputes, oppression claims, complex creditor remedy actions, lease disputes, priority disputes and construction litigation. Ryan has appeared at all levels of Court in Alberta, and also has appeared before the Federal Court of Canada (Trial and Appellate divisions). 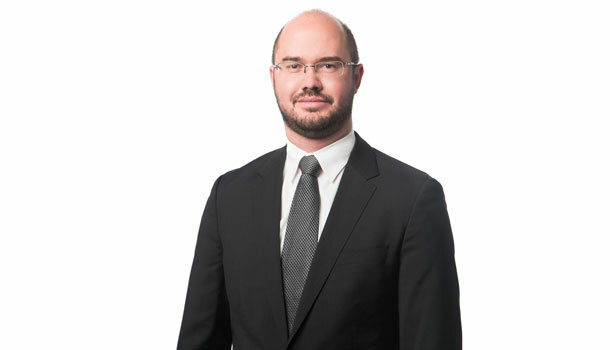 He joined Duncan Craig LLP in December 2017. Prior to joining the firm, Ryan clerked at the Alberta Court of Appeal and then practiced at well-known global law firm. In his spare time, Ryan enjoys time with his family, and playing soccer and hockey. The partners are pleased to welcome Ryan Quinlan to Duncan Craig LLP. Ryan joins our Insolvency and Restructuring Practice Group. Prior to joining the firm, Ryan clerked at the Alberta Court of Appeal and then practiced at a well-known global law firm. He has been retained to act for debtors, creditors, trustees, receivers and monitors in insolvencies throughout Alberta. Ryan has substantial experience in debt recovery actions, security enforcement and foreclosures. He also acts as counsel on complex corporate and commercial litigation matters, including fraud actions, shareholder disputes, oppression claims, complex creditor remedy actions, lease disputes, priority disputes and construction litigation. Ryan has appeared at all levels of Court in Alberta, and has also appeared before the Federal Court of Canada (Trial and Appellate divisions). In his spare time, Ryan enjoys time with his family, and playing soccer and hockey. We know he will be a big asset to our team. Please join us in welcoming Ryan.